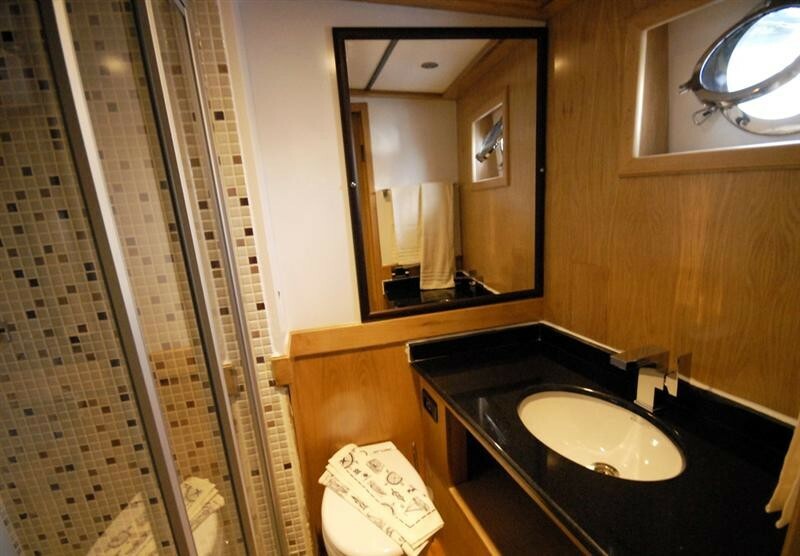 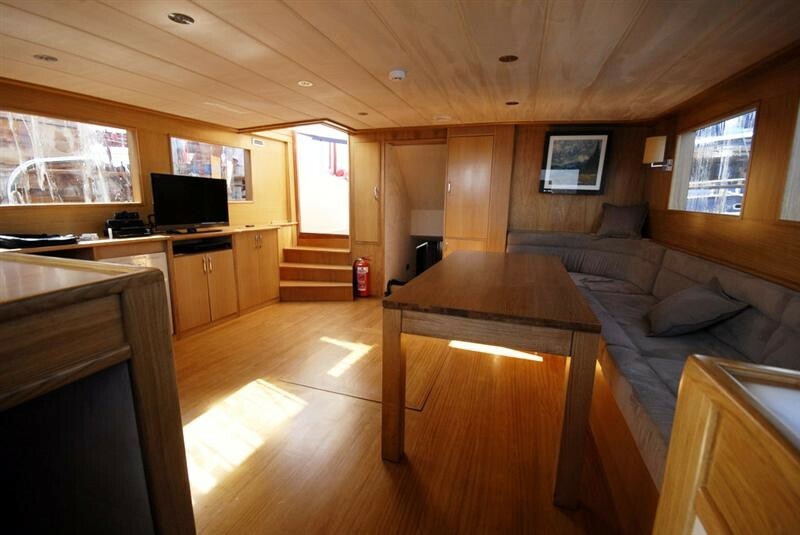 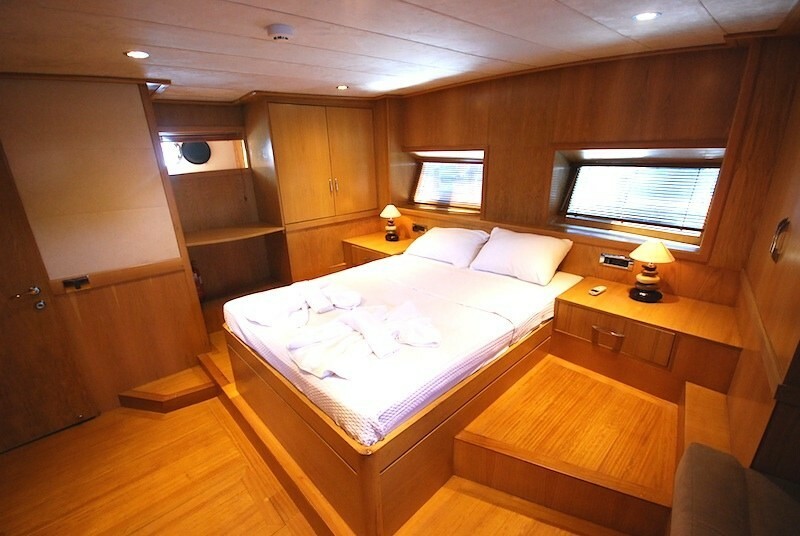 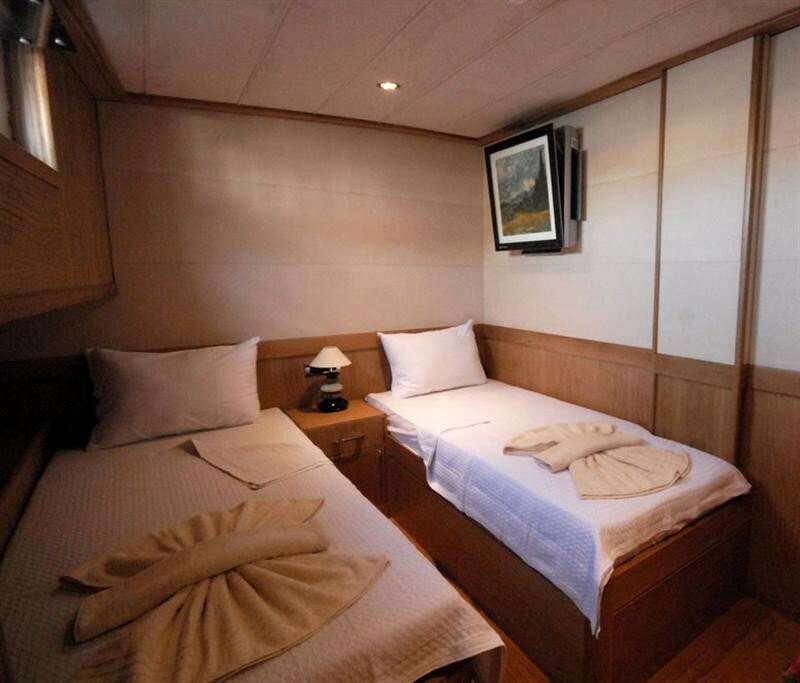 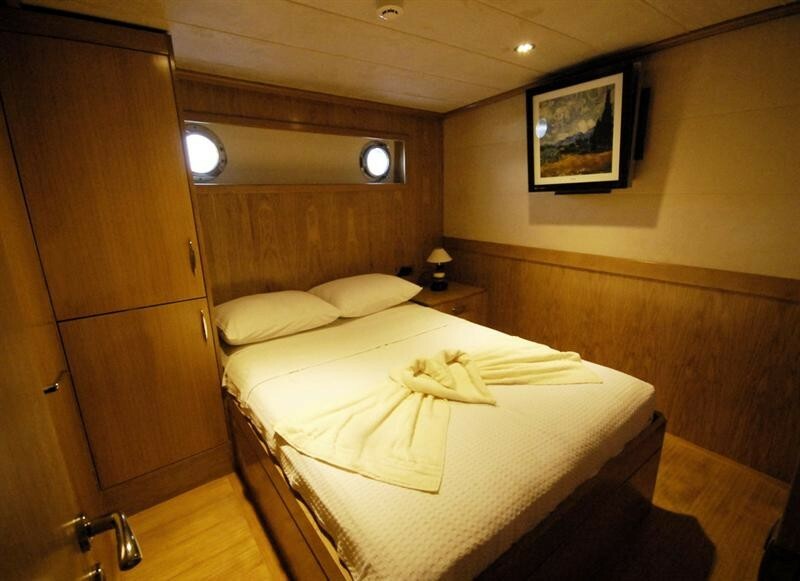 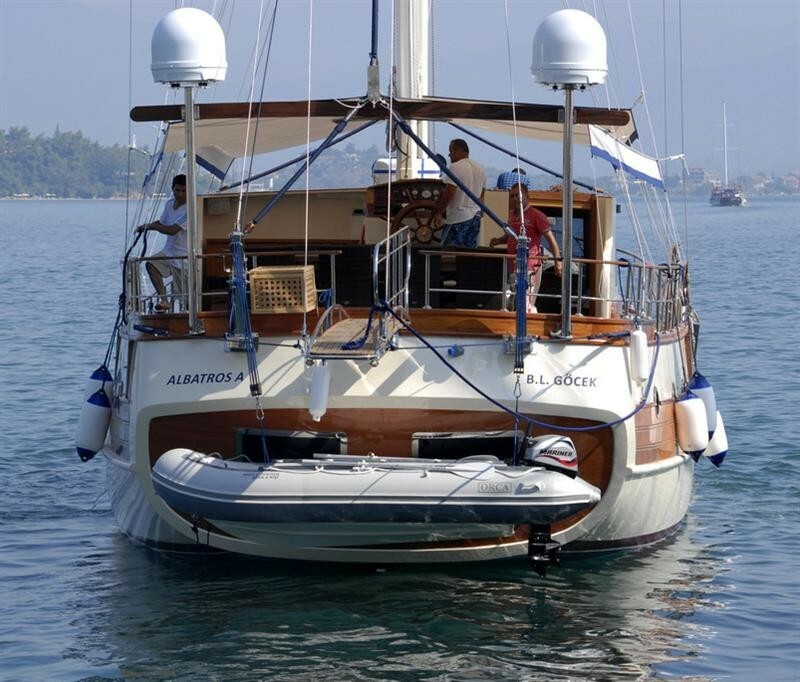 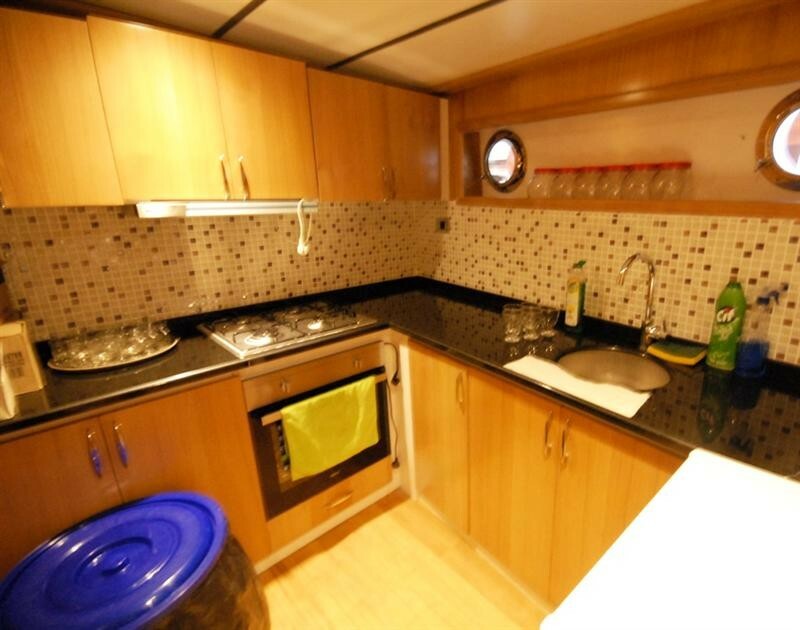 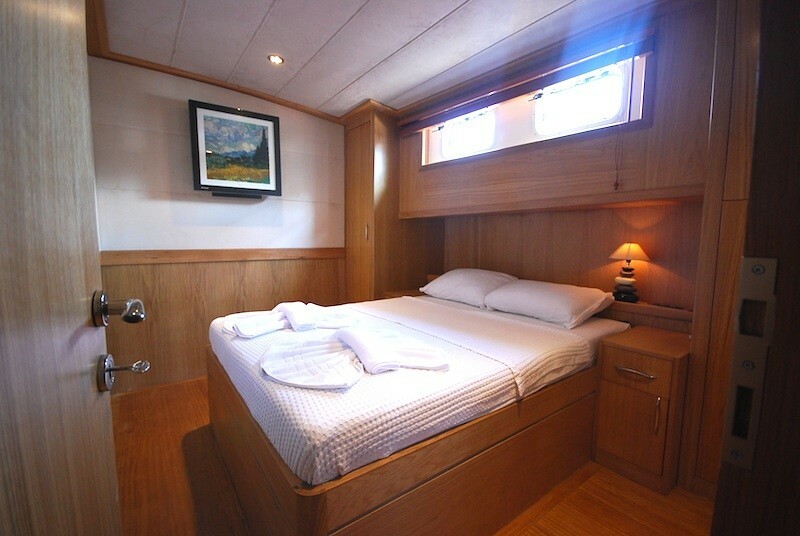 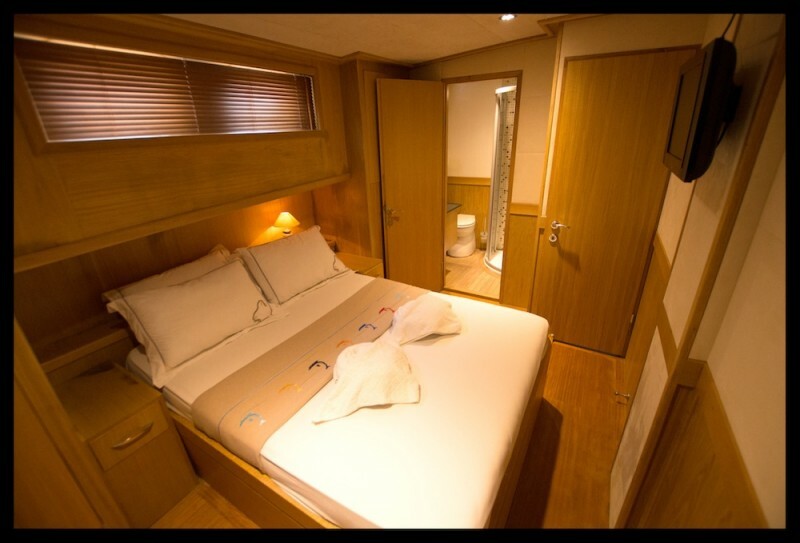 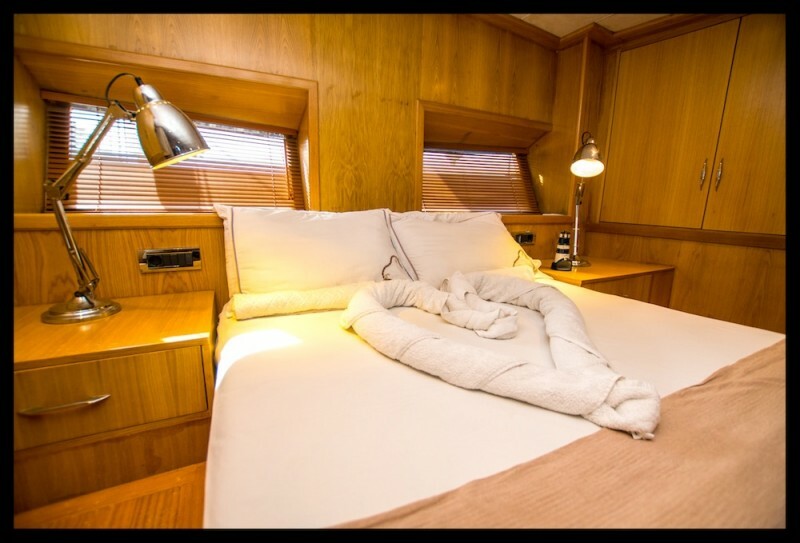 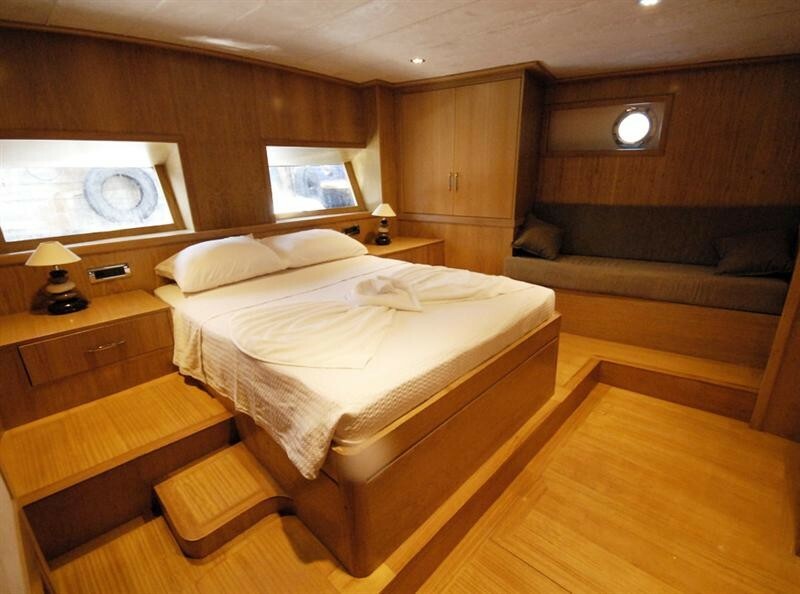 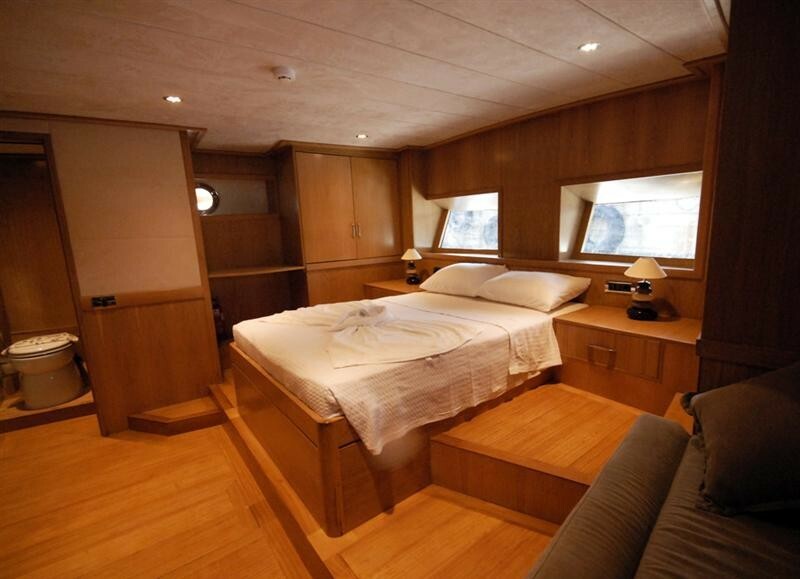 Luxury Gullet Albatros A is 21 meters 4 cabins private gulet in Turkey. 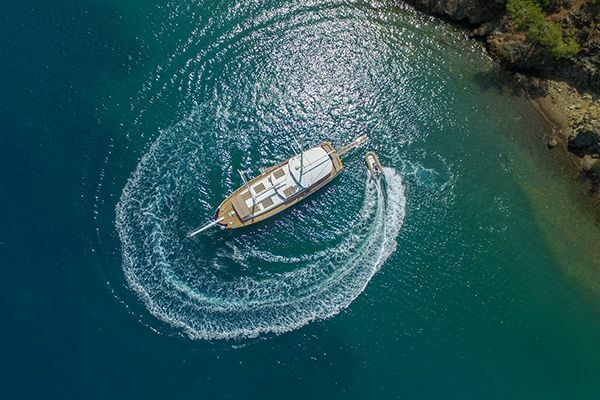 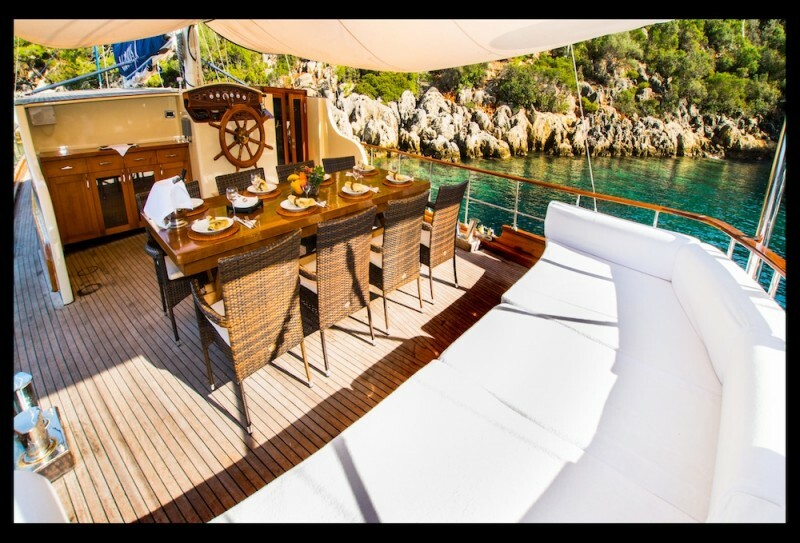 Albatros A’s traditional Turkish ketch hull exterior belies the luxurious ambiance of a sleek, minimalist, light and airy interior highlighted by wood surfaces and cushioned light fabric finish to the ceilings. 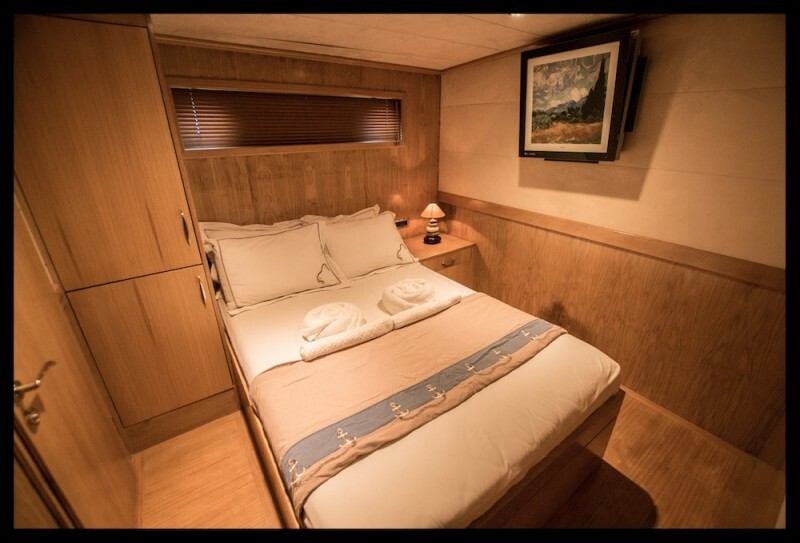 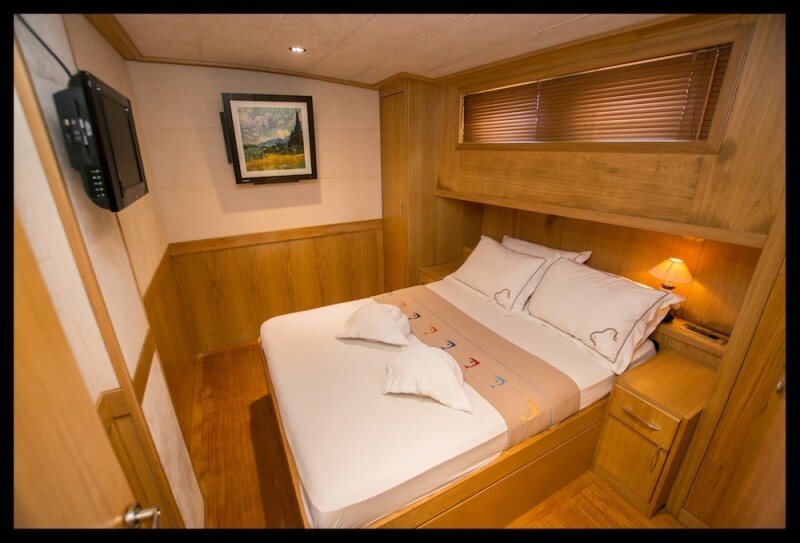 The four compact cabins include the light-filled master double cabin aft, and the double bed cabin forward both of which have walkaround beds and enjoy the width of the beam. 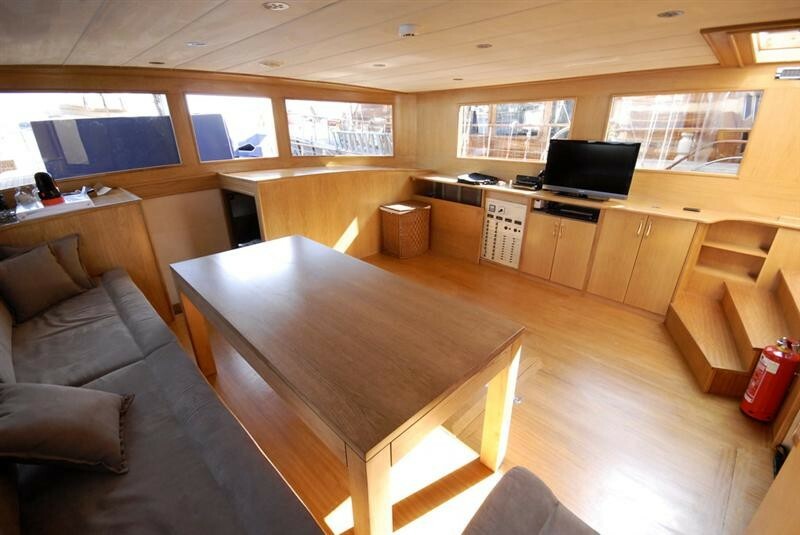 The third and smaller double cabin aft is opposite the galley, and there is one twin cabin in the bow. 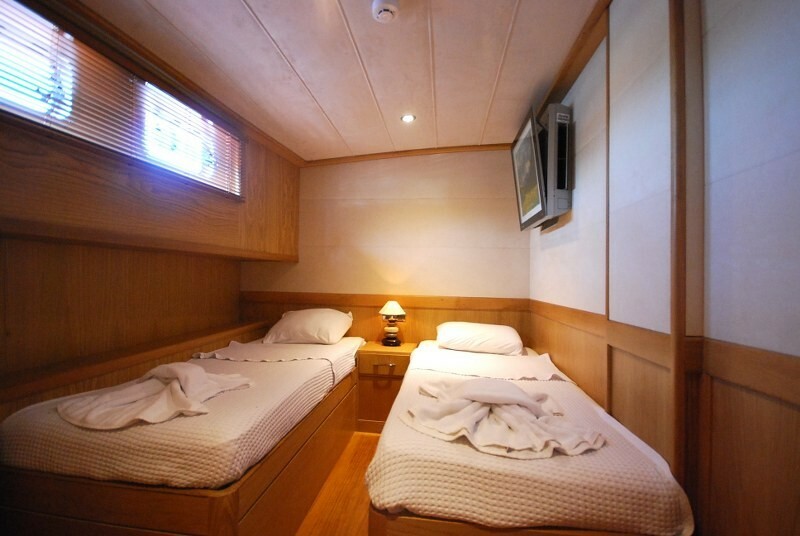 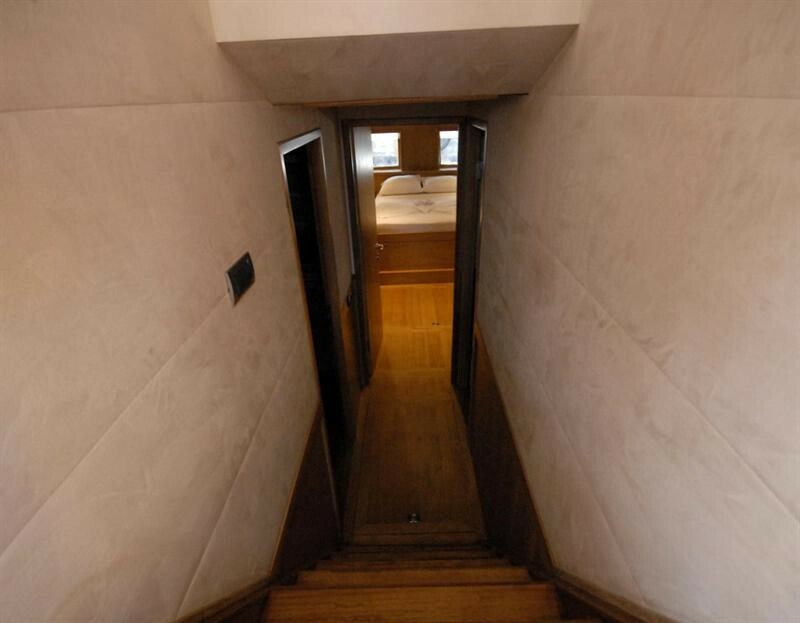 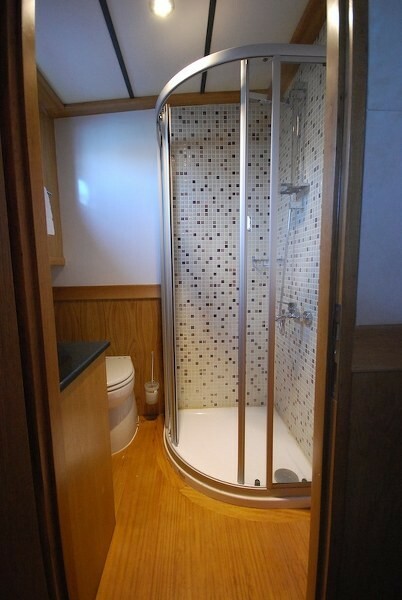 All cabins have airconditioning, their own en suite bathrooms, and own TVs. 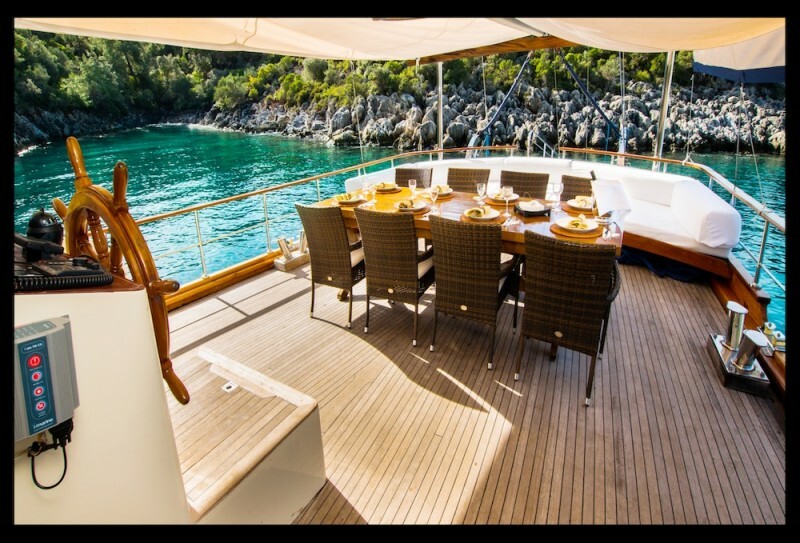 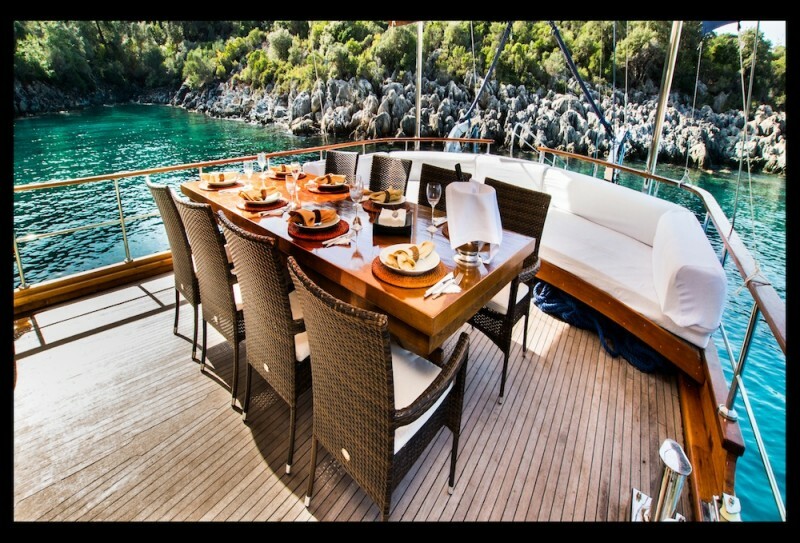 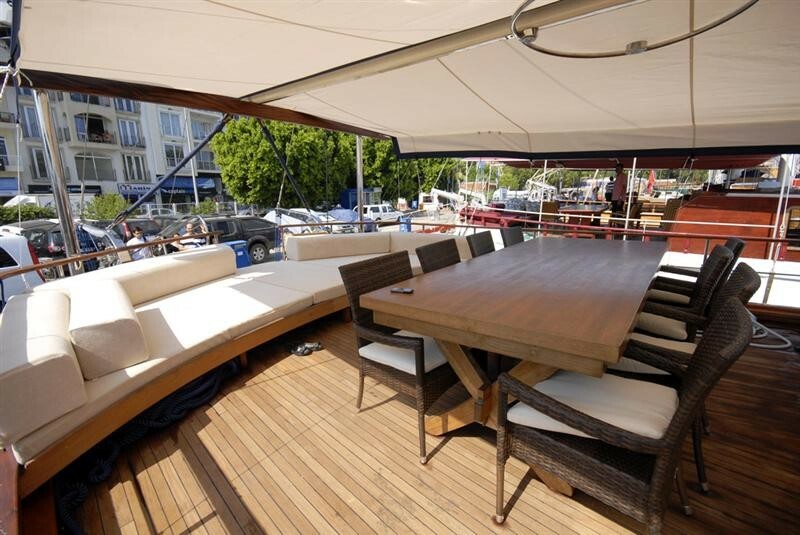 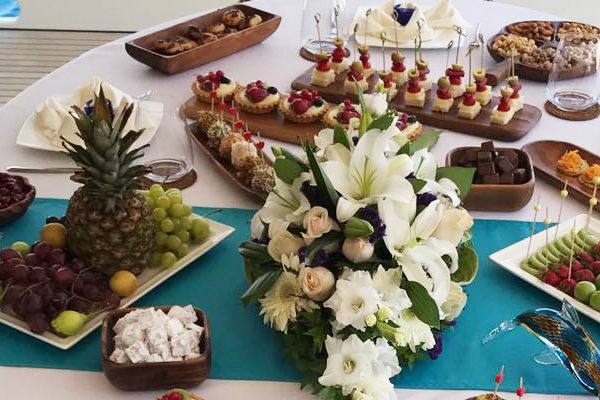 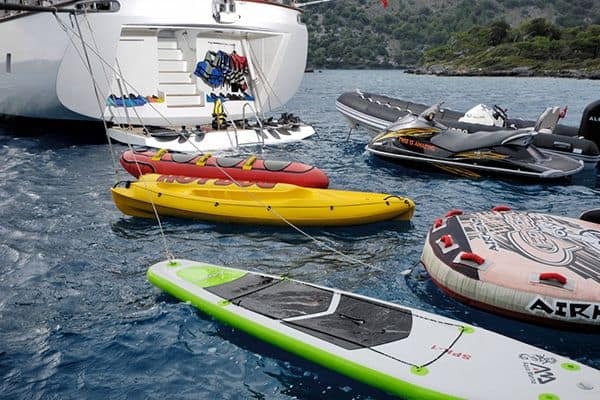 The crew of Captain and two crew are discrete and friendly, and make sure all the guests are looked after. 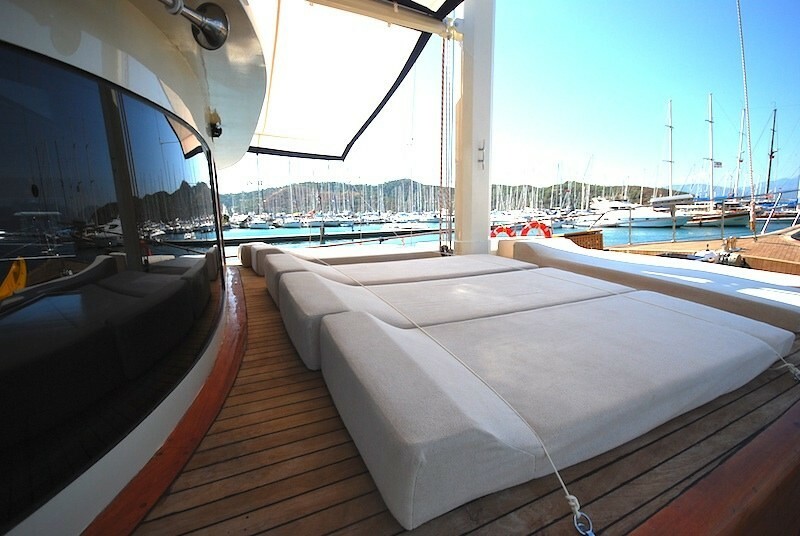 Relaxing is effortless on the choice of areas to laze in: the foredeck sunbeds, the cushioned bow seat, the alfresco dining chairs on the aft deck or the cushioned stern space deck, or indoor saloon with connections and comforts of flat TV and DVD enjoyed from the saloon couch. 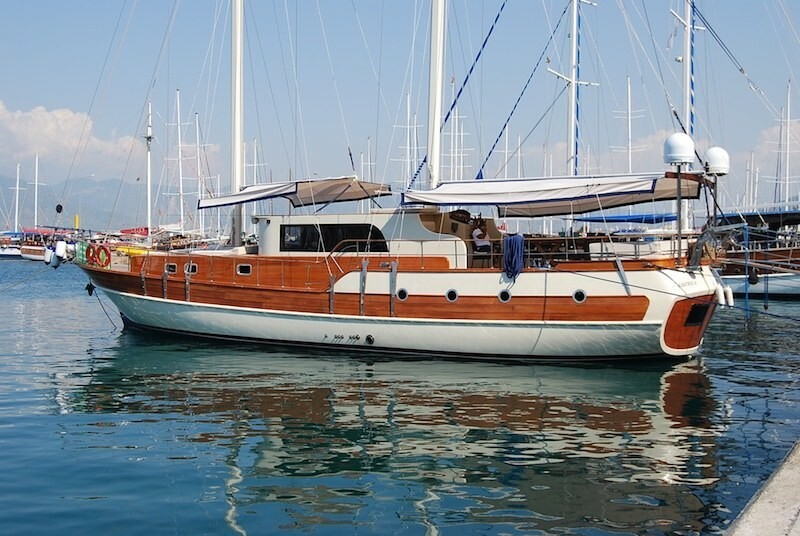 This is a thoroughly modern built gulet showing that modern technology available to yachtbuilders was mined to complete this excellent little boat to private ownership specifications and to offer every comfort on board. 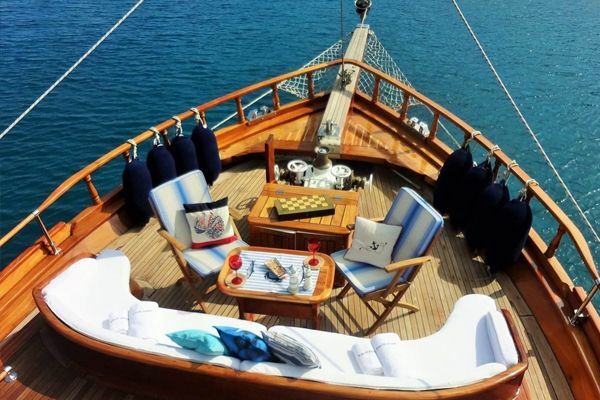 It is ideal for a very private sailing experience suitable for family and close friends to enjoy a relaxed gulet cruising holiday along the Turkish Riviera and Greek Islands. 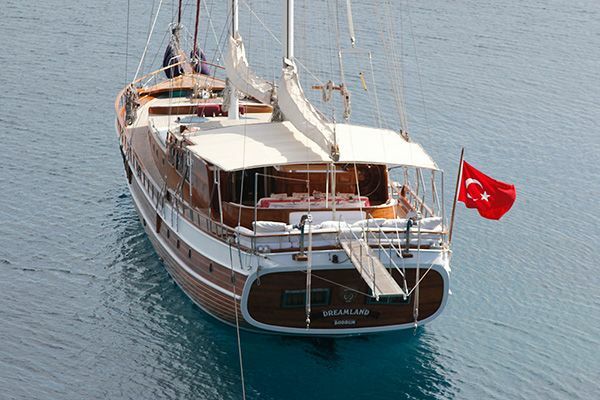 As it is privately owned the gulet is offered for charter only in the months of July and August.